‘To quote out of context is the essence of the photographer’s craft. His central problem is a simple one: what shall he include, what shall he reject? The line of decision between in and out is the picture’s edge. While the draughtsman starts with the middle of the sheet, the photographer starts with the frame. The photograph’s edge defines content. It isolates unexpected juxtapositions. By surrounding two facts, it creates a relationship. The edge of the photograph dissects familiar forms, and shows their unfamiliar fragment. It creates the shapes that surround objects. This is one of my favourite quotes by John Szarkowski who was the Director of Photography at New York’s Museum of Modern Art from 1962 to1991. It is from a book called ‘The Photographer’s Eye’ which was published in 1966 and was the first book I read about photography that started me thinking more deeply about how photographs communicate. 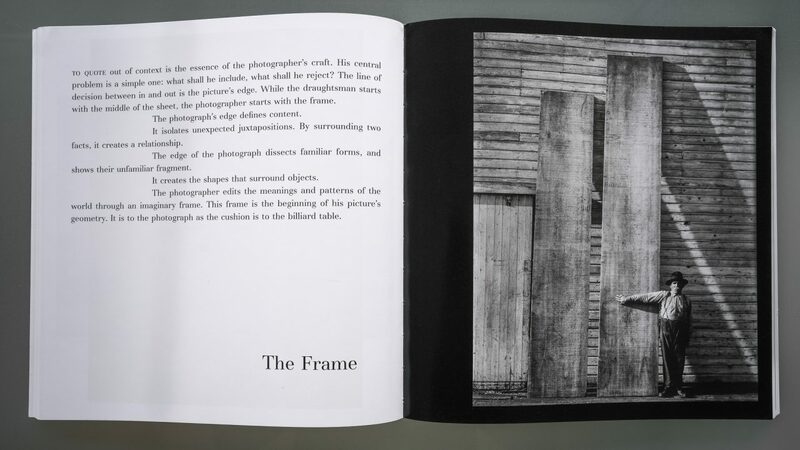 The first chapter in my first of 30 books (Photography: Foundations for Art & Design) was called ‘The Frame’ and was directly inspired John Szarkowki‘s chapter of the same name and his brief statement on page 70 of his book. It is a book that helped shape my career as a photographic educator and author and is definitely worth a read. This is Page 5 from my Foundations book (fourth edition) It features the image ‘Embrace’ by Eiko Hosoe – The photo is used to expand on John Szarkowski’s discussion about how the frame plays an important part in the design of a photograph. i.e. there are not two shapes at play in this image but three – the third being the negative space on the left side of the frame. John Szarkowski passed away in 2007 but his gift to the photography community is his published works. This entry was posted in Blog, Capture, Learn, Tips and Techniques and tagged composition, framing, Photographer's-Eye, Szarkowski.